Volotea, Barcelona Airline a Spanish short and medium haul low cost airline, will launch four weekly flights from Athens to Santorini and will link Athens to several Italian cities. Spanish low-cost airline carrier Volotea announced on Thursday that it would introduce flight services to and from Athens International Airport and has connected Santorini to its travel network.. Beginning in April 2015, the low-cost company, which since 2012 is offering more than 60,000 seats for destinations across Europe and North Africa, will connect the Greek capital with one internal and five international destinations that will run until October. The airline will launch flights to the island of Santorini in Cyclades and to the Italian cities of Palermo, Pisa, Bari and Venice. 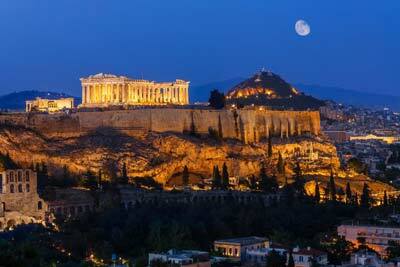 Volotea will launch four weekly flights from Athens to Santorini from 29 May 2015 until September. Next year the airline will also link Athens to Venice (three weekly flights from 3 April to October), Bari (two weekly flights weekly from 1 June to September), Palermo (two flights weekly from 26 June to September), and Pisa/Tuscany (two weekly flights from 29 May to September). This year it will link Venice, Santorini, Palermo, Pisa/Tuscany and Bari. The low-cost company already operates from abroad to other popular Greek destinations, such as the islands of Corfu, Mykonos, Crete, Rhodes, Samos, Skiathos and Zakynthos, as well as the country’s second largest city, Thessaloniki, in Macedonia. 2015 will be the third consecutive year that Volotea operates in Greece, but the first linking the country’s capital with abroad. 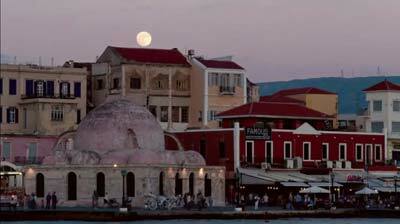 Furthermore, in April, it plans to introduce flight services to and from the airports of Thessaloniki and Zakynthos. 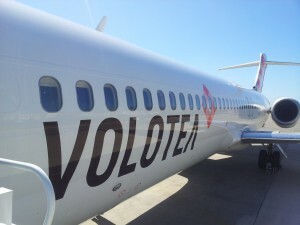 Volotea currently interlinks 63 destinations, while its fleet consists exclusively of 125-seater Boeing 717 aircrafts. The Barcelona-based airline has operational bases in Venice, Nantes, Bordeaux and Palermo and specializes in connecting medium and small European cities. The company has carried more than 190,000 passengers to and from Greece from April 2012 to date and offers charter flights to 10 Greek airports. The airline will offer flights from Athens to Santorini four times a week beginning at the end of May until September, while it will link Athens with Venice (3 flights a week, April-October beginning on April 3), Bari (2 flights a week, June-September beginning on June 1), Palermo (2 flights a week, June-September beginning on June 26) and Pisa/Tuscany (2 flights a week, June-September beginning on May 29). Airline CEO Carlos Munoz announced that certain of the flight services are likely to continue through next winter if there is a demand. The airline company has been active on the Greek market since 2012, has transported roughly 190,000 passengers and offers charter flights to ten Greek airports. The company’s fleet consists of 19 Boeing 717, known for its comfort and reliability, with fittings 125 seats. With five seats / series, 80% of passengers are selected for a window seat or aisle. Moreover, with respect to competition in the low-cost airlines, there is a 5% additional space between the seats and the interior of the cabin is very quiet. With very friendly and professional staff, the Volotea offers a great travel experience to the traveling public, as evidenced by the high rate of positive recommendations recorded, reaching 93% (Data: Q1 2015, 10,000+ respondents). 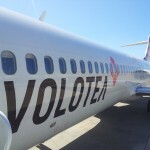 The Volotea continues to grow in Europe and 2015 The Volotea has set a target for 2015, the expansion of its network to a total of 153 destinations. This development will be based on four more aircraft, ie increasing the number of aircraft of 15 Boeing 717 today, in 19 aircrafts in summer 2015. Meanwhile, two new foundations have joined this year by the company network, reaching a total of 6: Venice and Palermo in Italy, Nantes, Bordeaux and Strasbourg in France and Asturias in Spain. As regards the part of sales, Volotea believes that 2015 will stand at 218 million. Euro. 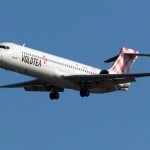 As an employer, the Volotea employed 480 workers during the peak of 2014, while according to estimates for this year, the figure will be between 580-600 employees. Since January, the official website of Volotea is available in Greek, allowing the public to make a comfortable navigation in the mother tongue and to buy tickets. The site also offers content in English, French, Italian, Spanish and German.